One of the best things about being an American in Canada is gaining a second Thanksgiving. 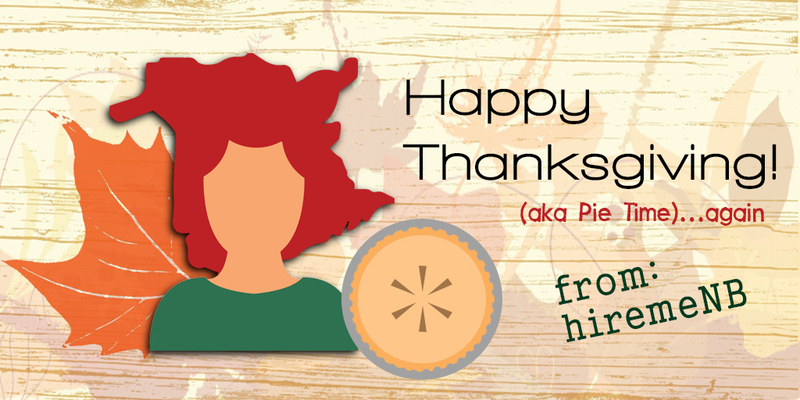 I’ve seen a lot of posts about the differences between American and Canadian Thanksgivings but, from experience, I can say they both still boil down to two things…pie and family, two things we should all find more time to celebrate. So Happy Thanksgiving, again, New Brunswick. I’m thankful for having the opportunity to celebrate with you.